Truth Will Prevail: Who are the 144,000 elect? Who are the 144,000 elect? On 4 February 1844, Joseph Smith commented regarding the 144,000: "I attended prayer-meeting with the quorum in the assembly room, and made some remarks respecting the hundred and forty-four thousand mentioned by John the Revelator, showing that the selection of persons to form that number had already commenced." 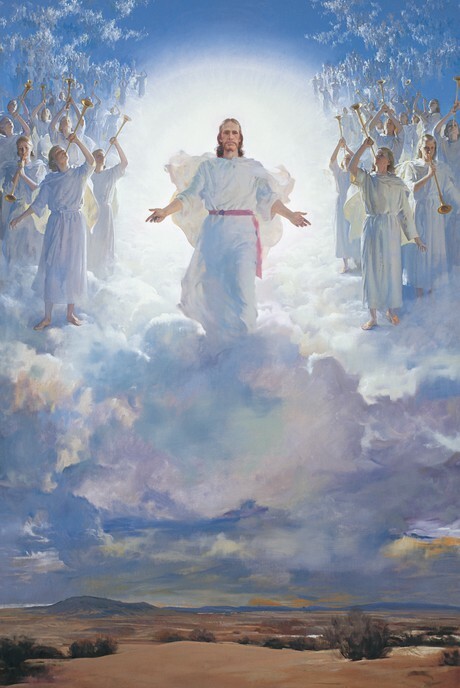 He explained: "There will be 144,000 saviors on Mount Zion, and with them an innumerable host that no man can number. Oh! I beseech you to go forward, go forward and make your calling and your election sure." We are to understand that those who are sealed are high priests, ordained unto the holy order of God, to administer the everlasting gospel; for they are they who are ordained out of every nation, kindred, tongue, and people, by the angels to whom is given power over the nations of the earth, to bring as many as will come to the church of the Firstborn." (D. & C. 77:11.) See Rev. 14:1-5. All of the references to Mount Zion which talk of the Second Coming and related latter-day events appear to have in mind the new Mount Zion in Jackson County, Missouri. Thus we read [in D&C 133:17-18]: "Prepare ye the way of the Lord, and make his paths straight, for the hour of his coming is nigh—When the Lamb shall stand upon Mount Zion, and with him a hundred and forty-four thousand, having his Father's name written on their foreheads." F. How will the Savior deploy the 144,000? (See answer B above) However, Elder Bruce R. McConkie has said that just how the Savior will deploy this force of 144,000 special emissaries remains to be revealed. It seems obvious that because of the "innumerable host" that will accompany them, missionary work will move forward with great zeal among those who escape the wrath of God when the world as we now know it comes to an end.